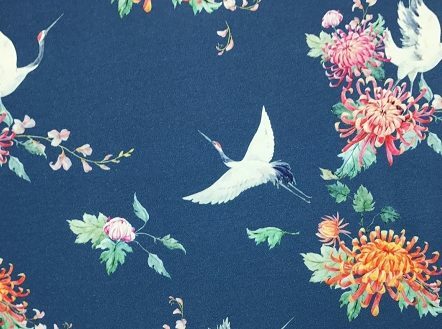 A soft loop-back jersey printed with a stunning crane design on a blue background. Designed and produced in Europe with OKEO-Tex certified safe dyes and production methods and on an extra wide base. This would make gorgeous jumpers and sweaters.